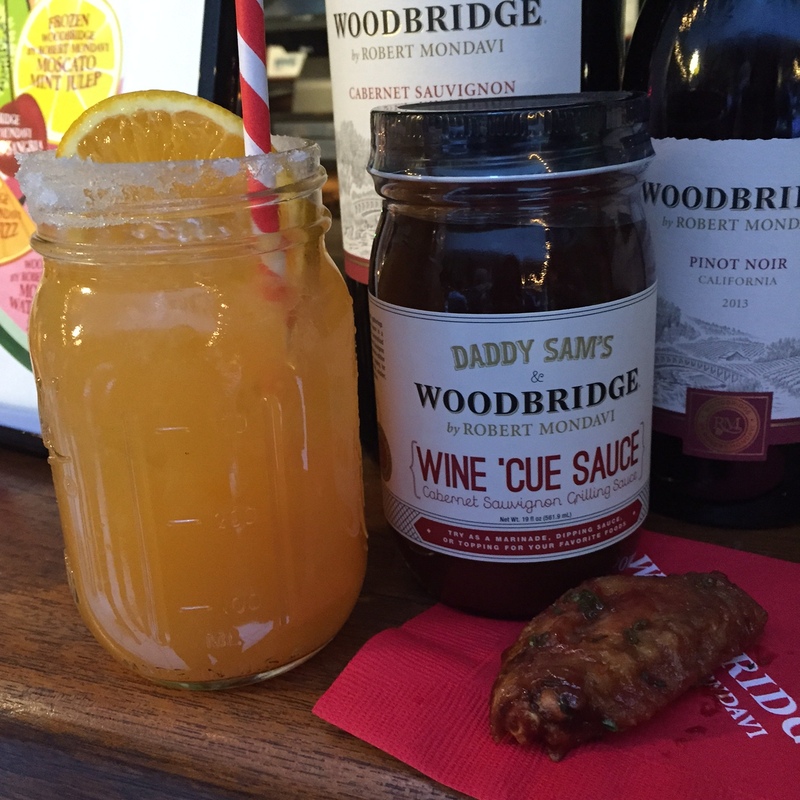 A month or so back, I attended the launch event for Woodbridge wines Wine ‘Cue Sauce by Robert Mondavi. 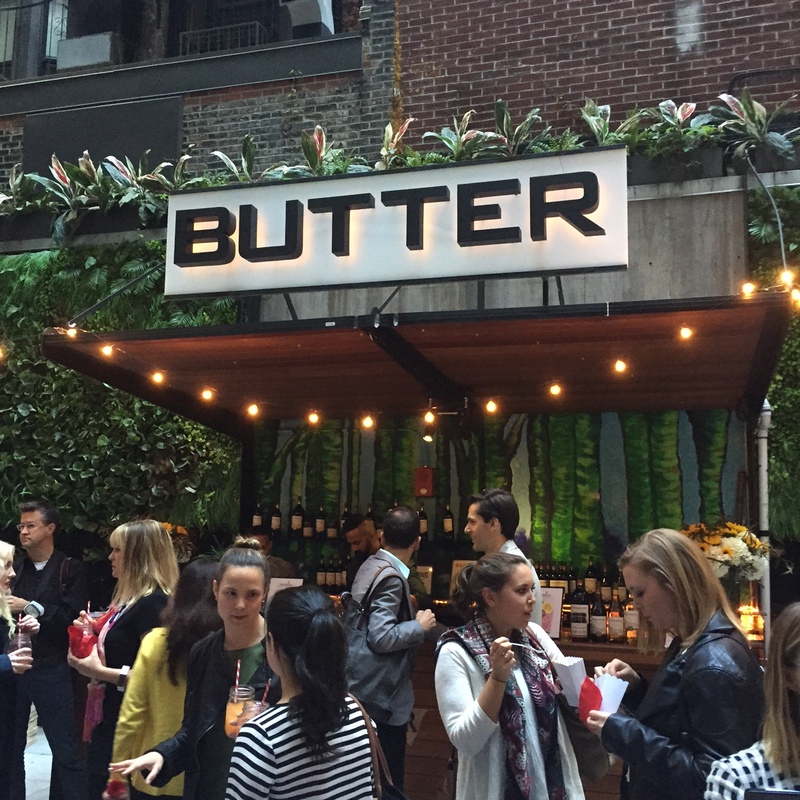 The event was held at Butter (now in midtown), a restaurant owned by chef, author and Food Network personality Alex Guarnaschelli. It was such a fun and summery night (which is a lot different than a starry night), complete with Woodbridge Wine shaved ice cocktails, sangria, a bluegrass band, and of course, apps made by Alex herself. She was so sweet and we spoke a bit about the recipes she made – turns out her favorite was the BBQ shrimp made with Wine ‘Cue sauce. NOM. PS, I hadn’t been to this place before and might I just say WOW. Awesome spot with a really nice outdoor garden/patio. I had many a frozen beverage made with Woodbridge wines before I dove into the snacks. Please see the tiny BBQ chicken wing with my Woodbridge sangria below. 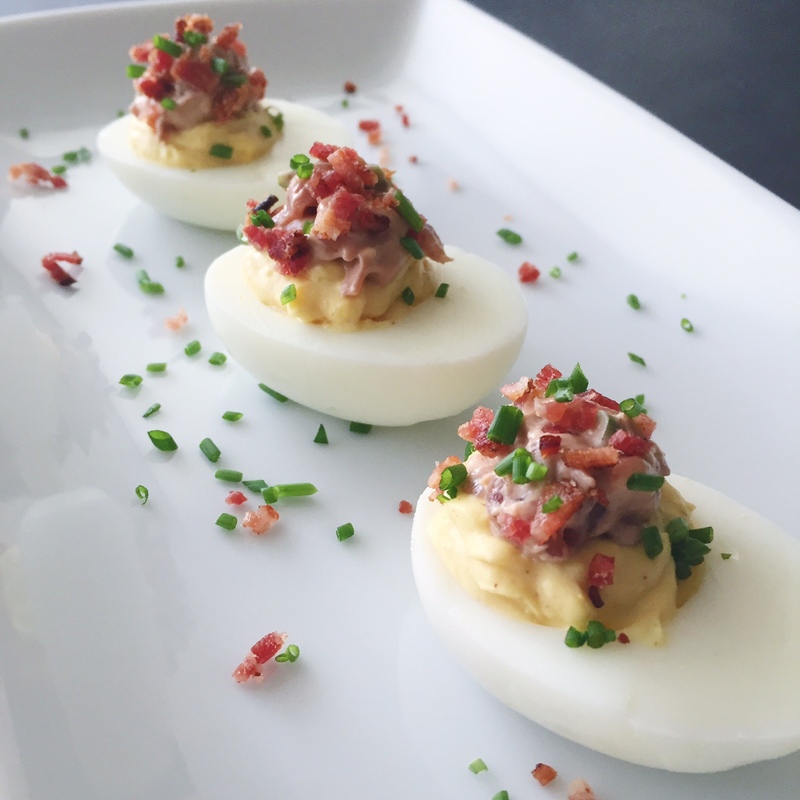 Who doesn’t love a deviled egg?! I think they are perfect any time of day, and they’re a BBQ staple. Not to mention my dad loves them, so this made sense to me. 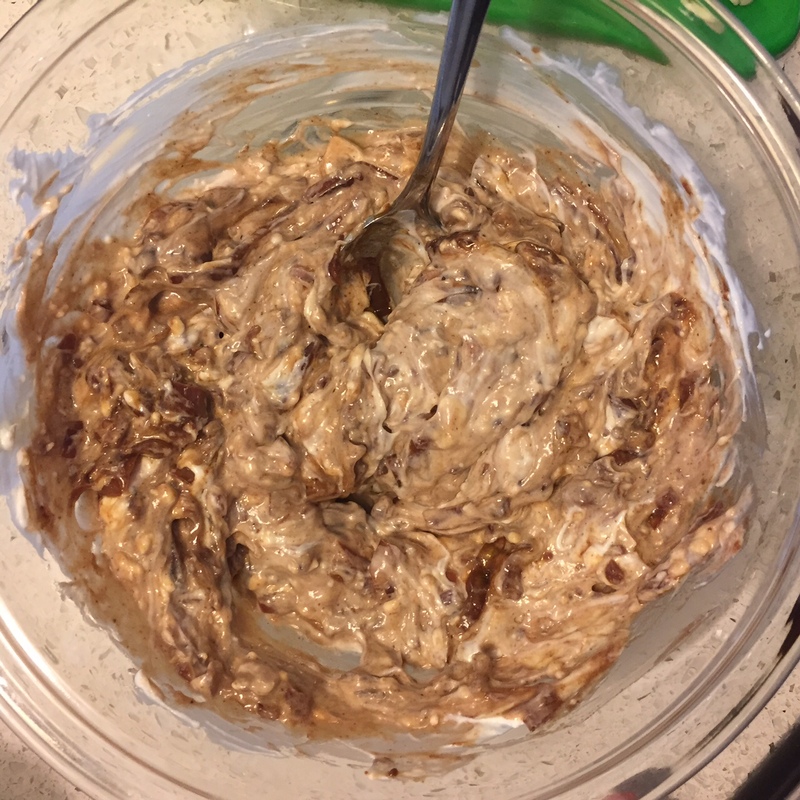 The filling is your standard egg yolk/mayo/mustard filling, but on top, I made the Wine ‘Cue Sauce Caramelized Onion Wine Party Dip. I obviously added my own little Skinny Pig twist by adding bacon to it. 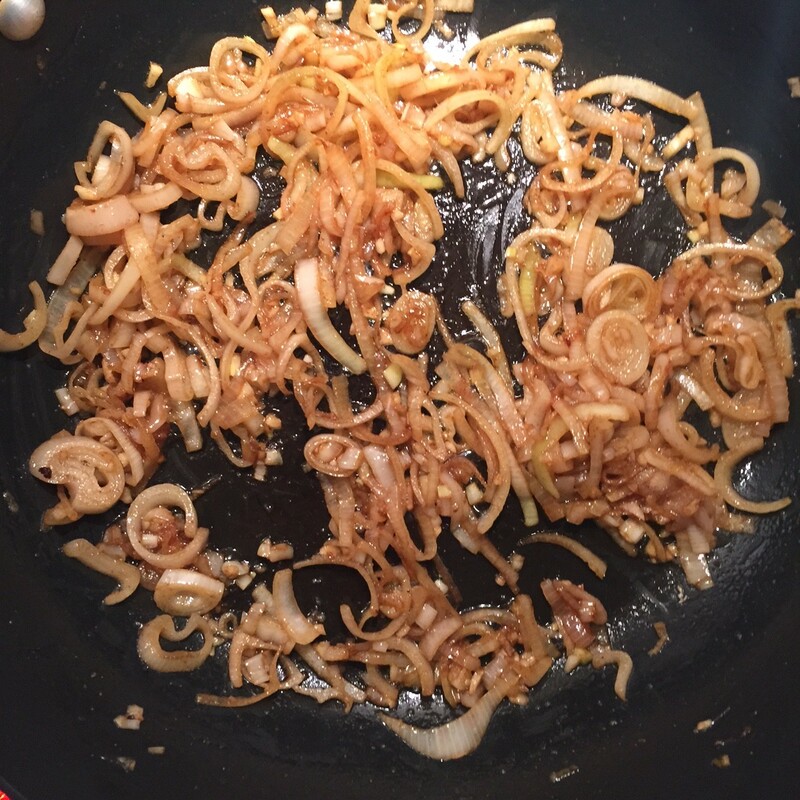 Oh and I used shallots, not onions, because I had a surplus of shallots. Work with what you got, my mama papa says. Cheers to all the awesome dads out there! And if your dad enjoys wine and enjoys BBQ, why not pick up a bottle of this deliciousness straight from Amazon?! So easy and only $6.99. Note: I halved the wine onion dip recipe, because despite my appetite, I didn’t see the need to make enough for 8 people. That said, it still made a decent amount of dip and you don’t have to use all of it for the eggs, so feel free to double the egg recipe. 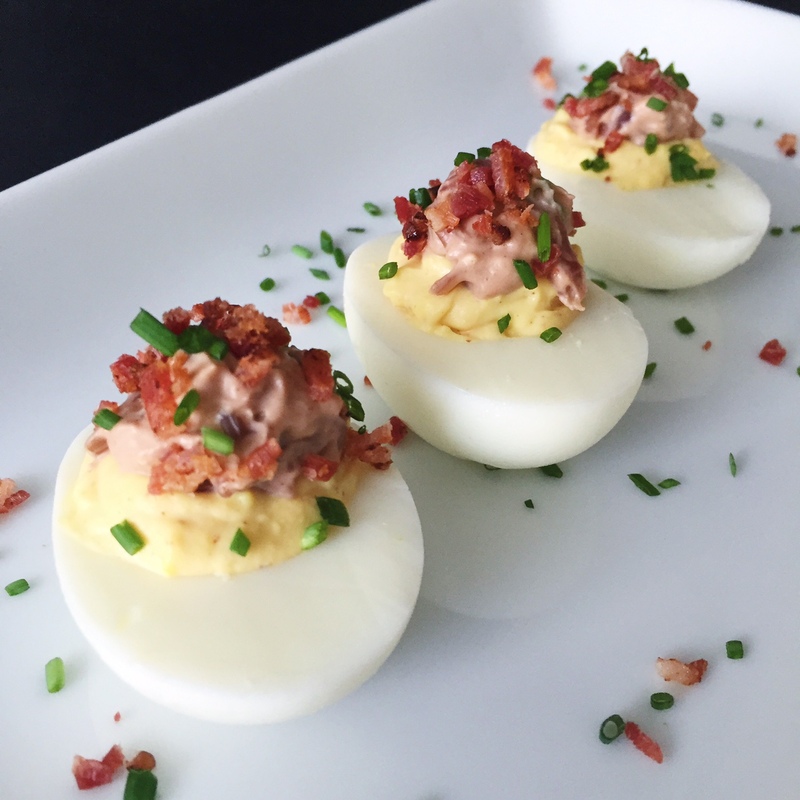 I only used 4 eggs, which gives you 8 deviled eggs. 1. 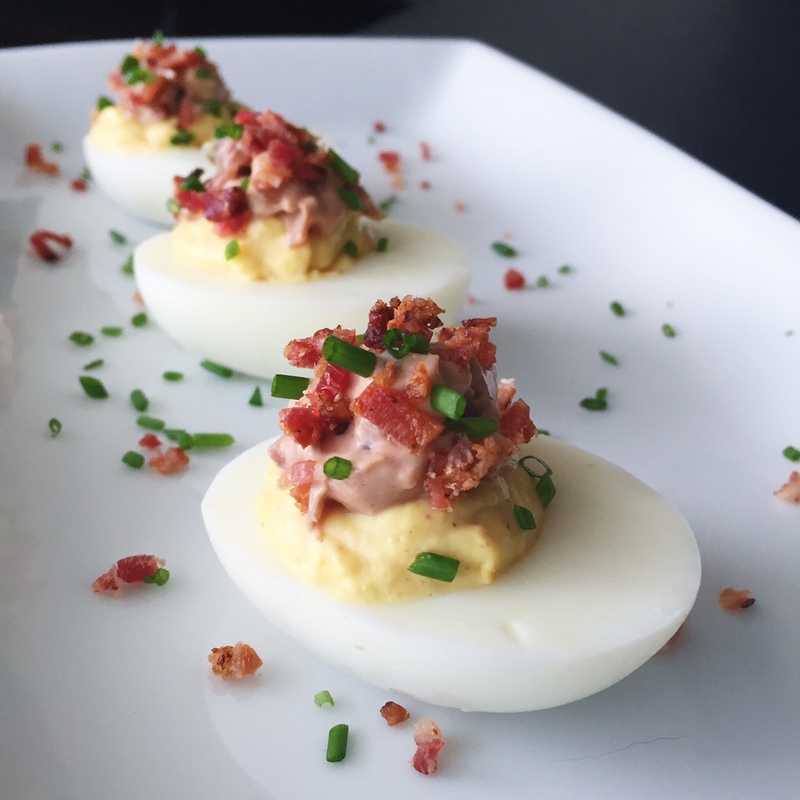 Make hard boiled eggs. This is not as hard as you think. Cover eggs with water in a medium saucepot. Bring them to a boil. The second you see the bubbles float to the top (aka boiling), turn off the heat, cover the pot, and remove to a different burner. Let sit like this for 13 MINUTES. Thats it. 2. 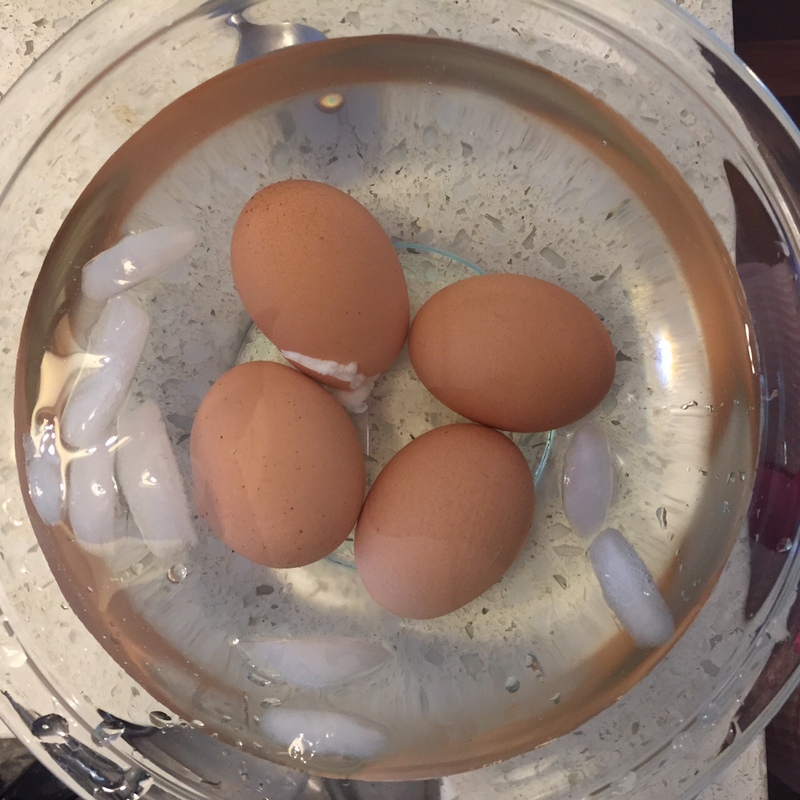 Drain eggs and put in an ice bath aka a bowl of ice water. Peel and try not to lose it whilst doing this, because it’s time consuming. Set aside. 3. Cook bacon in a large skillet over medium-high heat. Drain on paper towels. Chop. 4. 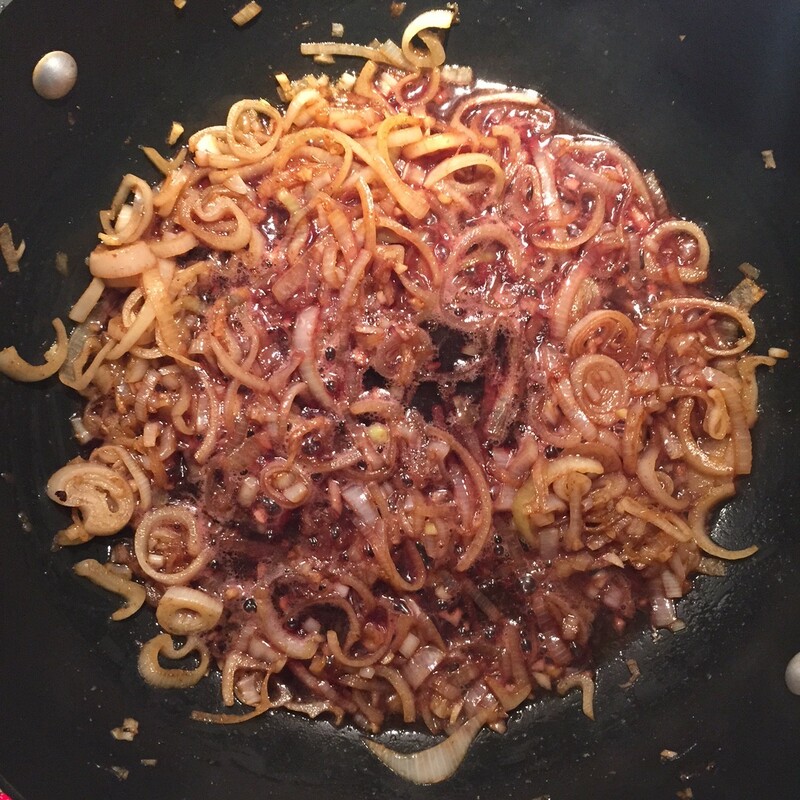 Cook the shallots in the bacon fat over medium-high heat for 1-2 minutes. Add garlic and cayenne. Stir together and cook until translucent (and don’t burn that garlic), 6-8 minutes. 5. Add the Woodbridge Cabernet Sauvignon until the wine evaporates and there is almost no liquid left, another 6-8 minutes. 6. 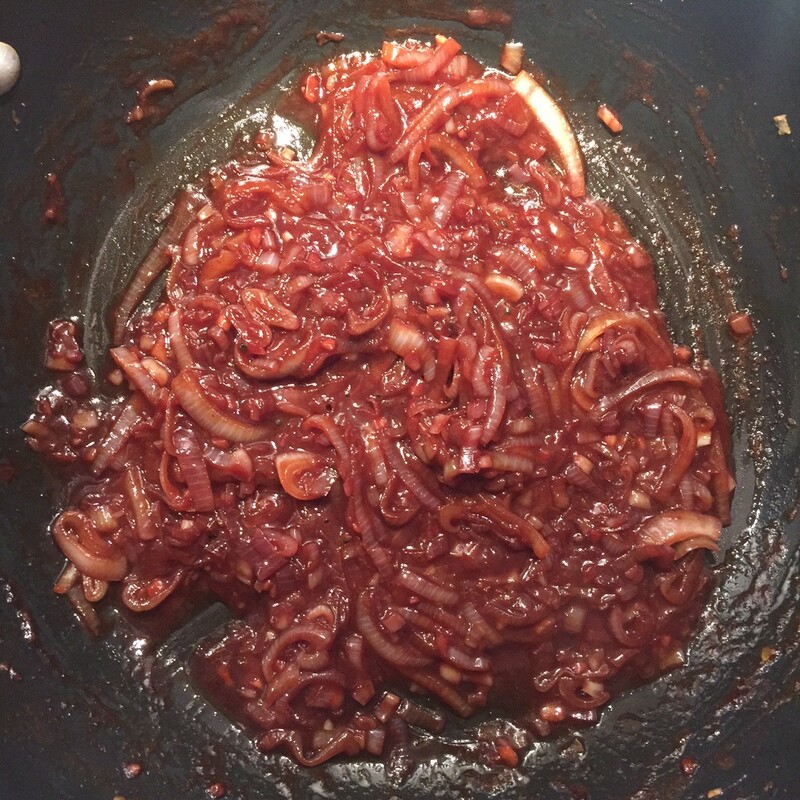 Add the Wine ‘Cue Sauce and red wine vinegar and cook for an additional 15 minutes or so until the shallots are a deep brown color and look caramelized and delicious. Set aside to cool. 7. Make the dip! Add cream cheese and sour cream to a medium bowl and stir until smooth. Add the shallot/wine sauce mixture, chopped bacon and scallions. Allow the dip to “rest” for 15 minutes. 8. 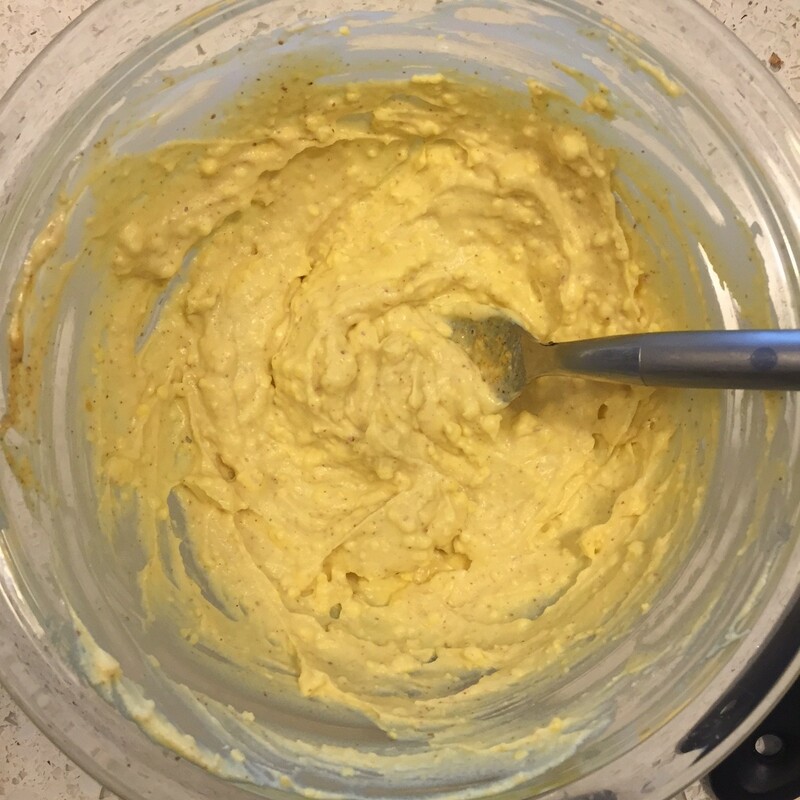 During that resting period, make the deviled egg mixture. 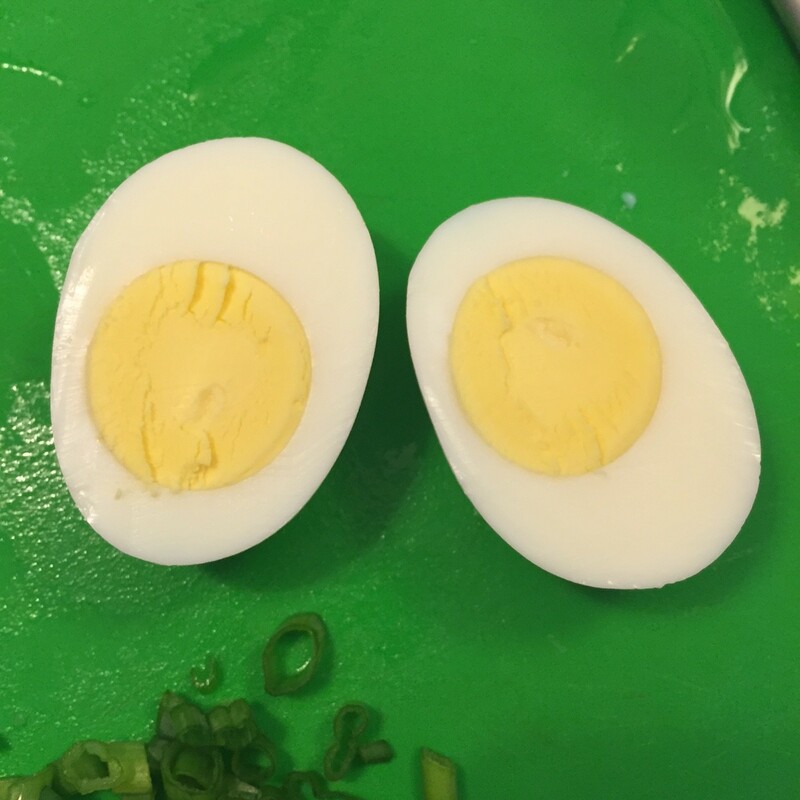 Slice the eggs lengthwise in half and pop out the yolks into a bowl. 9. 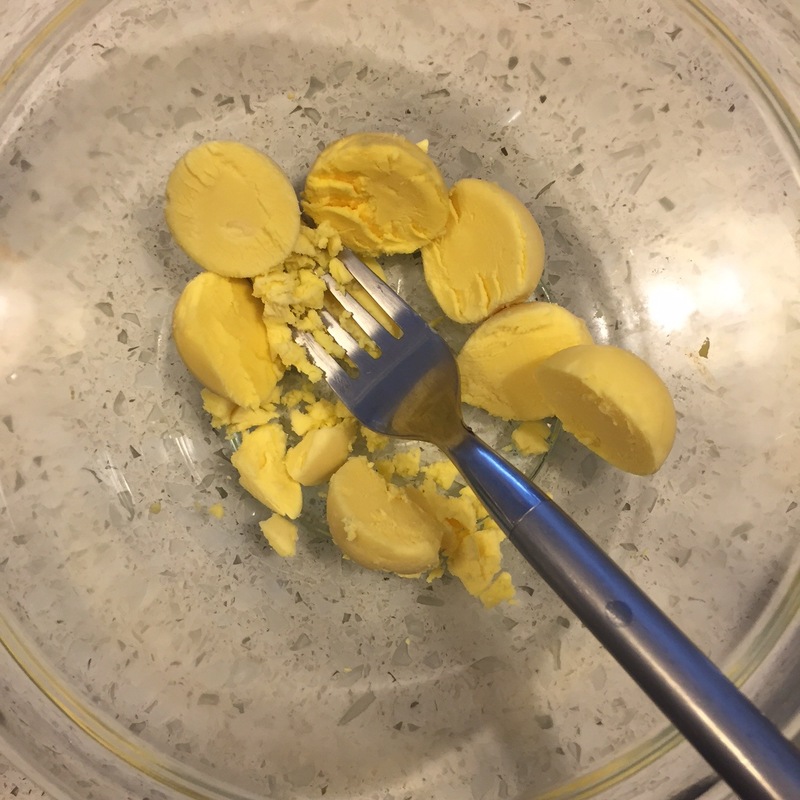 Mash the yolks with the back of a fork until crumbly. Add mayo, mustard, and a pinch of salt to the egg yolk and mix together. 10. Put the egg yolk mixture into a ziploc bag and cut off one of the corners. Google this, if you must. I don’t know how else I can explain it, but it’s basically a makeshift pastry bag because who in the hell actually has a pastry bag these days?! 11. Pipe the egg yolk mixture into the eggs. 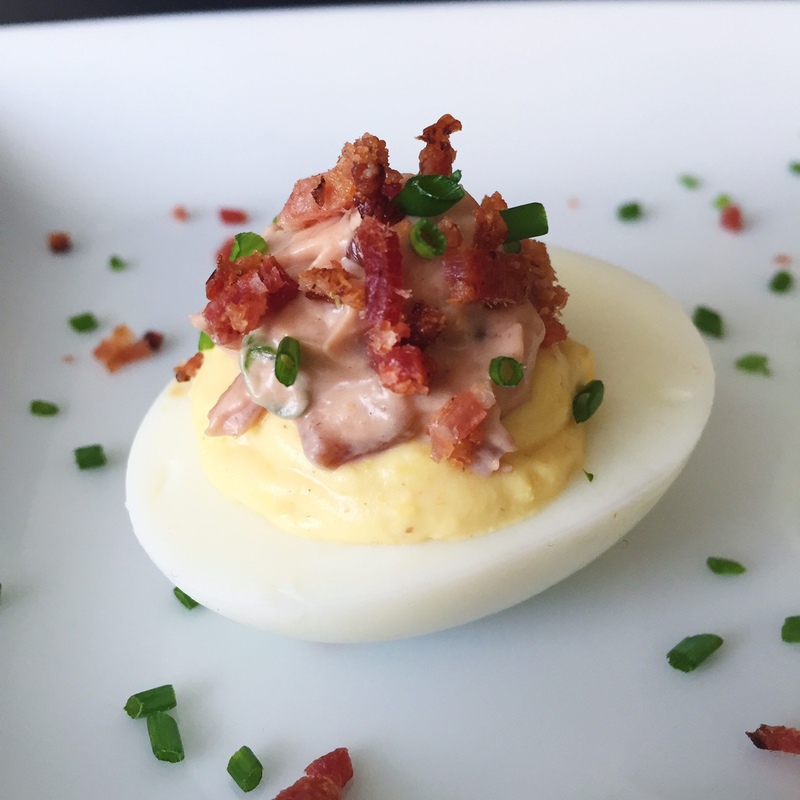 Dollop a bit of the wine onion party dip, and top off with fresh chives and bacon. Take a dainty bite or a manly chomp – either way they’re amazing! For the dip just FYI – it’s on the salty side, so serve with unsalted pita chips or veggies. That’s your best bet. 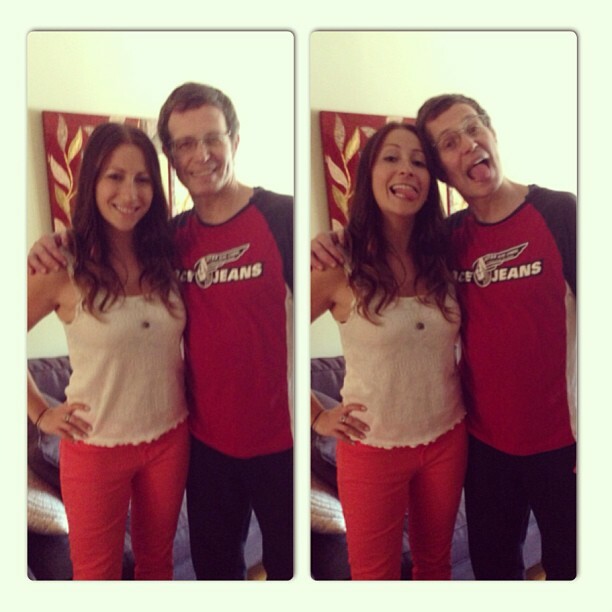 Happy Father’s Day, dad! You are crazy but I love you. And I’m pretty sure I get all of my bad jokes from you too. 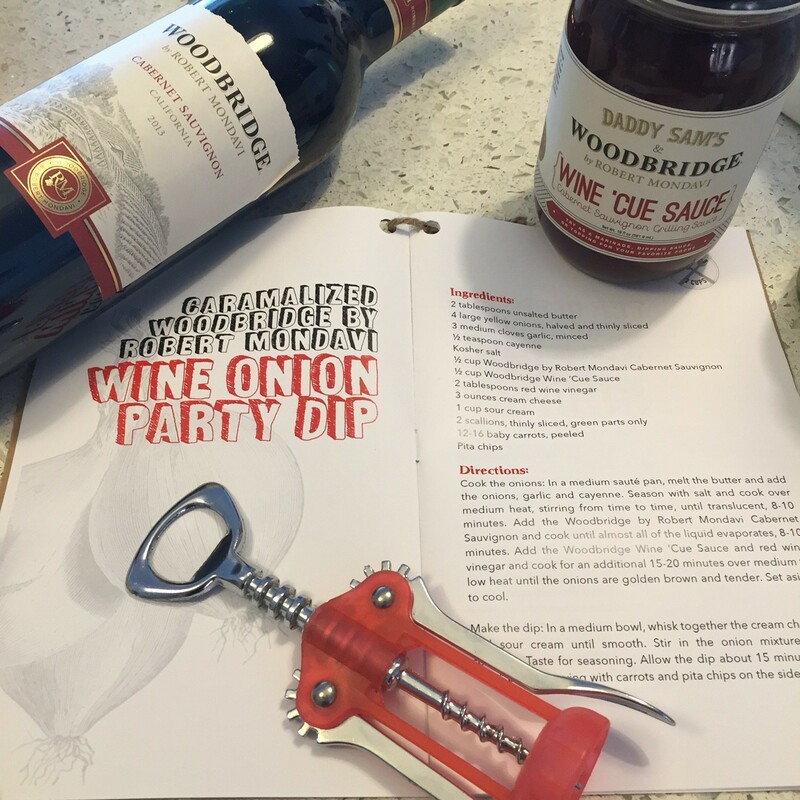 Thanks to Woodbridge Wine ‘Cue Sauce for their awesome product (don’t forget to buy on Amazon here), and to Alex Guarnaschelli for giving me the inspiration to make something delicious this Father’s Day. Wordpress or go for a paid option? There are so many opttions out there that I’m completely overwhelmked .. Thank you so much! I definitely like WordPress – it’s fairly easy to use and free plus there are a lot of ways to customize. I don’t think paying for it is necessary with all the free options now. I also have heard great things about Squarespace for it’s simplicity of use and ease of setup. Check those out and good luck!